Following consultation with local residents, Lambeth Council is planning to install new secure bike racks in Crimsworth Road. The new racks will be outside 81/83 Crimsworth Road and at the side of No. 19 Crimsworth Road, and will mean the removal of car parking spaces. 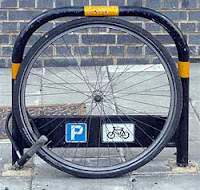 This to provide secure bicycle parking for residents who do not have the space or ability to securely park bicycles in or within a reasonable distance of their residence. Stockwell Councillor Imogen Walker who chairs Lambeth’s Environment and Community Safety Committee said, “This is good news for cyclists in Stockwell and reflects our commitment to become one of London’s greenest boroughs”.